ANGLETON, TX (KTRK) -- Another Houston area police department has started putting their faith on patrol vehicles. 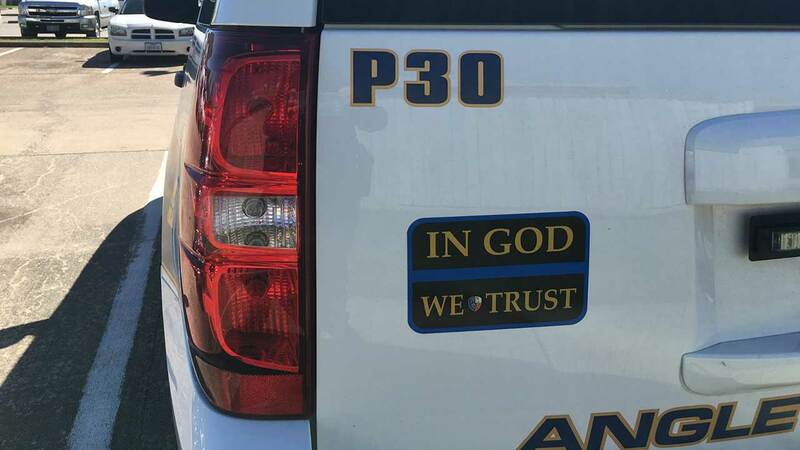 On Wednesday, the Angleton Police Department posted a photo of an 'In God We Trust' sticker on a police SUV. Earlier this month, the Wharton Police Department did the same. And before that, the Liberty County Sheriff's Office and Katy emergency responders put notices of faith on their vehicles. What do you think? Do the stickers belong on patrol vehicles? 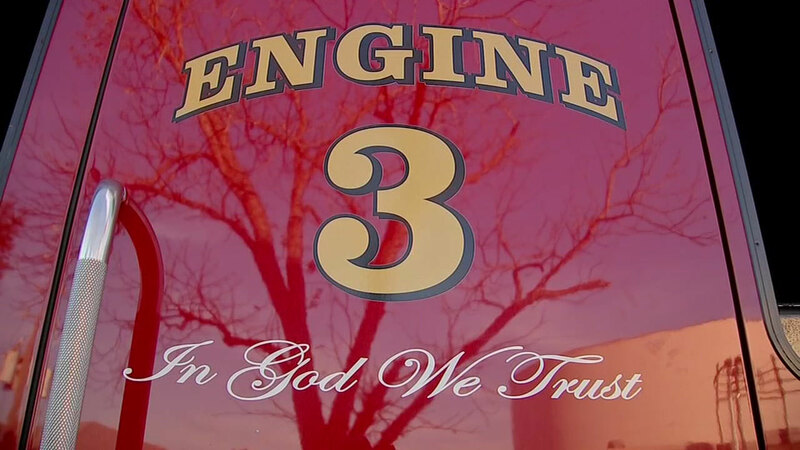 Another local police agency is rolling out 'In God We Trust' stickers on its vehicles. The mayor of Katy says the message is inclusive of all religions, and he has some strong words for those who don't agree with his decision.